Learning to Ski and Snowboard is more than just learning a new, exhilarating winter sport; it is an entrance into a welcoming community of like-minded outdoor enthusiasts that play hard and have fun doing so. Seven Springs makes it easy and fun to learn to ski and snowboard and our experienced instructors are waiting to meet you. Our Fun-Based Learning program will have you on the snow in no time! Inside the learning area, newcomers will be introduced to the sensation of skiing and snowboarding right away, with a focus on "going" rather than "stopping." This program is perfect for both adults and children who have never tried skiing or snowboarding...and it's FUN! We offer group lessons, private lessons and specialized programs for skiers and snowboarders of all ages and ability levels. Whether you’re a beginner or an expert who is looking to sharpen your skills or even find that hidden stash, we have a program that fits perfectly for you! Our Snowsports School is open daily and is located on the ground level of the Skier Services building in the Ski Lodge. Reservations are required. Please call (800) 452-2223, ext 7997 for more information on our programs or to make your reservations. Are you age 16 or older and ready to learn a new sport or need to improve your skills on the snow? The Seven Springs Snow Pros will help you get the most out of your experience on the mountain, no matter your ability level. Our learning area is designed to get you started and progressing more quickly while using specially-shaped snow features to control your speed as you learn. Group Workshops are available for more advanced skiers and snowboarders looking to fine tune their skills. If you are looking for a skill-focused personal experience, then a Private Lesson may be more suited for you. Are you between the ages of 8 and 15 and ready to hit the slopes with your friends? Skiing and snowboarding are sports that you’ll love for a lifetime. Our Mountain Adventure Programs are designed to create lifelong skiers and riders while developing solid technique in a fun, safe and confidence-building environment! If you are looking for a skill-focused personal experience, then a Private Lesson may be more suited for you. Children and teens ages 8-15 are also welcome to participate in the 5:30 p.m. Fun Based Learning Group Lesson. Whether you’re brand new to snowsports or you’re looking to fine-tune your skills, our Snowsports Instructors can make your mountain experience epic! The best time to teach your child to ski or snowboard is between the ages of 4 and 7. Inside the learning area, your child will be introduced to the sensation of skiing or snowboarding right away, with specially-designed snow features to control their speed while they focus on moving, playing and having fun. 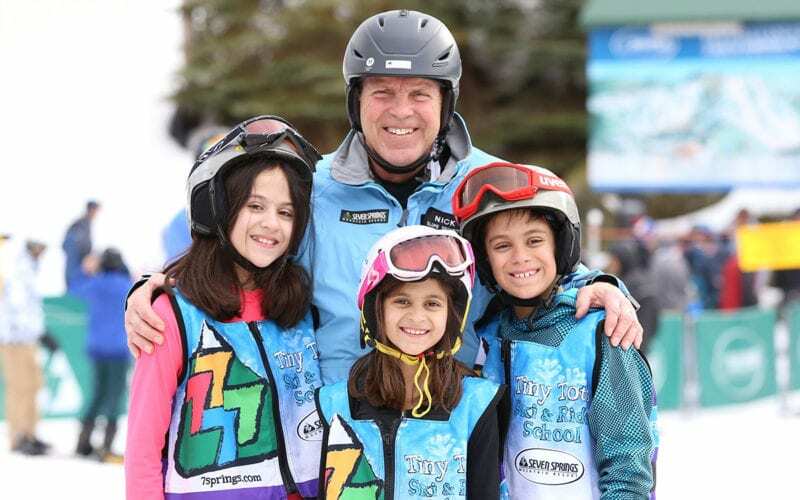 Our experienced team of snowsports instructors will guide your child every step of the way. Not only will your child be learning a new winter activity, they will be making new friends! 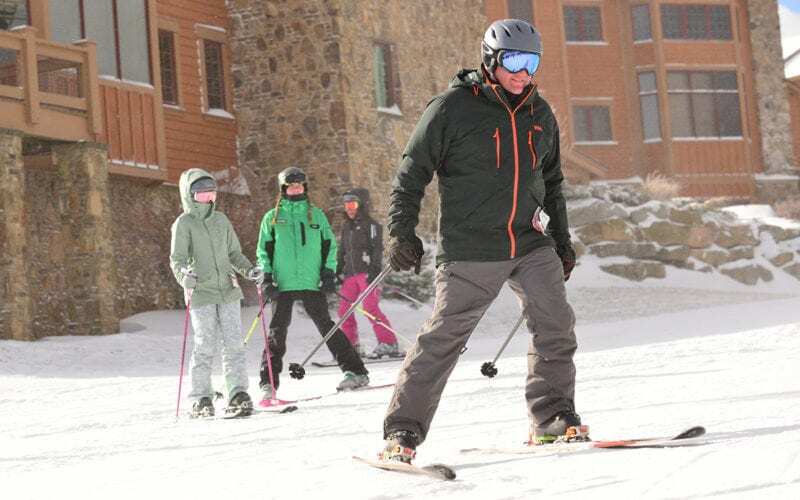 These seven-week skiing and snowboarding programs will focus on skill development on the slopes or in our top-rated terrain parks with some of the best coaches on the mountain. 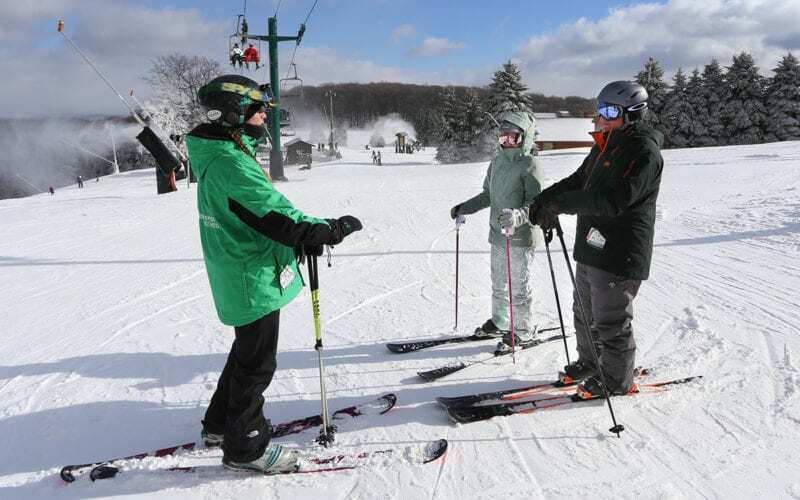 The Mountain Adventure Team and Freestyle Team is open to all children and teens, ages 8-15, who are comfortable with all green terrain, riding chairlifts and are starting to explore blue terrain and beyond. The Mountain Adventure Team programs are available select Saturdays and Sundays, January through March, and teams will be formed based on age and ability level. You don’t have to live in Pennsylvania to take advantage of this great offer…just be a 4th or 5th grader and ski or snowboard in Pennsylvania! 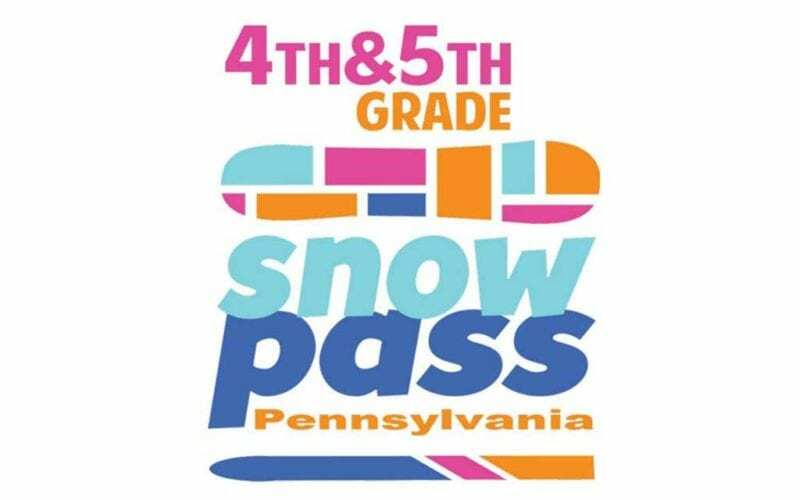 Any child in the 4th or 5th grade can ski or ride for free at all participating ski areas in the state of Pennsylvania with the 4th & 5th Grade Snowpass, when accompanied by a paying adult. 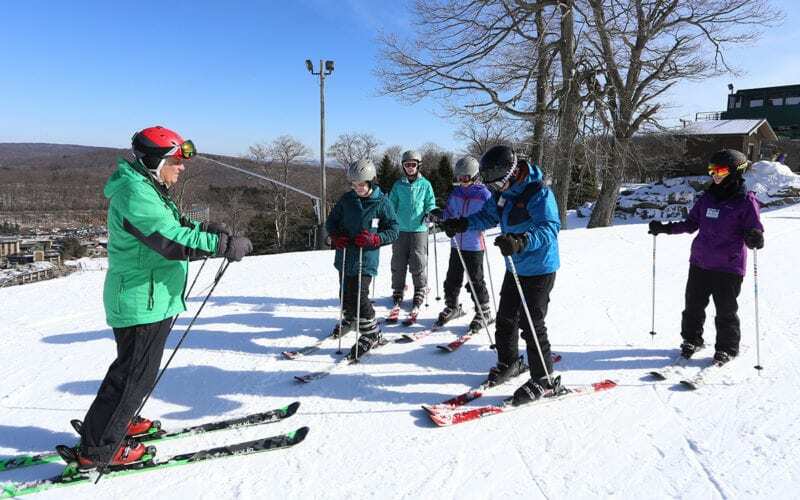 Improve your skiing and snowboarding skills out on the mountain with our professional Snowsports Instructors during our Adult Improvement Clinics. Each clinic is two-hours long and is the perfect program for adults who can navigate the chairlift, are comfortable with intermediate blue terrain and want to be given tips and tricks to improve. Do you have questions for our Snowsports Team regarding lesson times, cancellations and more? The information below may help answer your questions before your arrival and you can always send us an email! 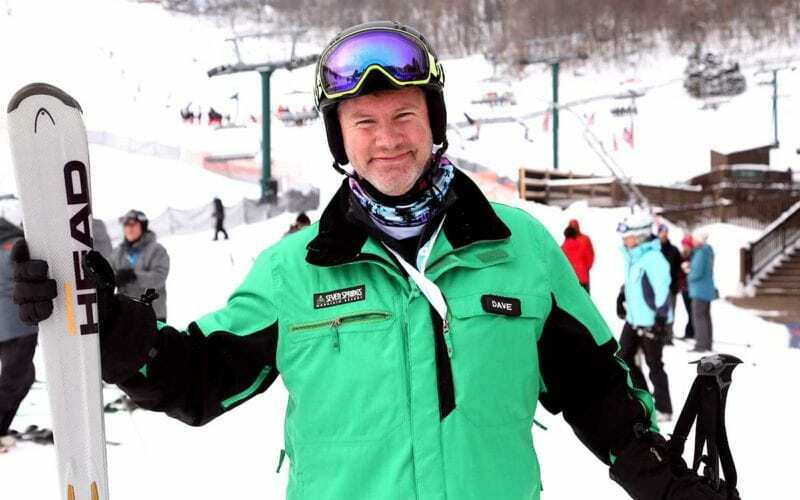 Get to know some of our Snowsports Instructors at Seven Springs Mountain Resort. These instructors have years of experience in their disciplines and can’t wait to teach you the best techniques for skiing and snowboarding.